Bay Hewitt is a single-source provider of the entire talent management cycle from recruitment to workplace learning and development for optimized performance. We offer flexible, scalable, and customizable training and performance improvement solutions. Bay Hewitt ensures your people have the right skills at the right time -- delivering training when, where and how it’s required to improve performance. We are not a mass marketing agency or a fly-by-night seminar organizer. We work with you to understand your actual organizational goals and business needs so we work towards an effective strategy that will impact your bottomline results. That's Bay Hewitt! Performance consulting, learning needs analysis, training design and development, actual training delivery, learning effectievness evaluation. You name it, Bay Hewitt understands it. We transform your learning needs to relevant and meaningful training solutions from electronic learning to digital content, we will take care of you. Your diverse, dynamic and mobile workforce demands them. Bay Hewitt's talent intelligence matched with experience and wide business network lets you know that every candidate we endorse to you has passed our stringent sourcing and hiring standards. 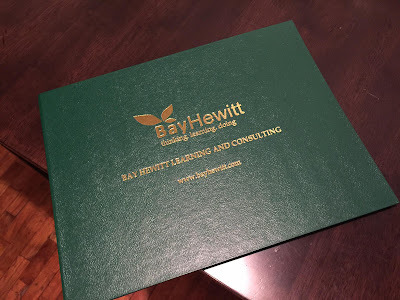 Unlike most recruiting companies that only promise quality of hire, Bay Hewitt delivers proven results by connecting new hire performance and retention strategies with effective sourcing and recruiting programs. In this age of "War for Talent," it is important that you understand how to take care of your employees. Meeting your organization’s goals and objectives depends largely on the quality of people in your organization. With talent management solutions from Bay Hewitt, you can improve how you hire, manage, develop, and reward your employees to ensure you have the right people in place. Maximizing learning retention depends on how effective the message is packaged and how the same is delivered to your learners. Find out how to become the best trainer and facilitator out there by attending this session. It goes without saying that trainers, facilitators, and presenters have a very important influence on their audience. Communication is one of the most important skills that any trainer can possess. Trainers and facilitators have a responsibility to ensure that the retention, engagement, and learning process is qualitative. If you can’t communicate effectively to your audience, then you won’t be able to help them achieve the best results. Good communication skills are essential when training, facilitating, or teaching adults. This program will provide helpful information on how to communicate most effectively with participants, helping trainers with developing learning relay messages, providing facilitation tips, and offering ways to improve presentation skills for the best outcome possible. Facilitation is a very influential way of encouraging participants to learn, change behavior, take action or become promoters of one’s organization. It can persuade or dissuade the audience. In learning session, you will learn how to communicate effectively with participants by facilitating and eliciting responses without monopolizing the flow of information, and presenting topics in the most engaging way possible. For those wishing to learn or improve their presentation skills, this is the program for you. If you are a trainer, public speaker, presenter, or a teacher looking to communicate effectively with your audience, this session is for you. Motivate learners through the use of sincere praise: the ping pong rule, harnessing student image, and use of effective phrases. Success starts with the right mix of personality traits and behaviors. In this training, learn about the ABC's of success: Appearance, Behavior, and Communication. Your personality is not just about good grooming and choosing the right make-up, it's the complete build of who you are and what you represent. Learn to be effective not only personally but also professionally in this fun and engaging training! Observable behaviors depend on internal attitudes and perceptions. Before people can effectively manage their interactions with others, they must practice internal self-management. Understand yourself and the day-to-day choices you make that impact your accomplishments and interactions with others. Acquire skills for improving confidence, team building, and communication. Achieve goals that will result in growth, change, and increased effectiveness. Both management development and leadership development require the basic skill sets taught in this course for success. This program is a unique, powerful skills-based performance course designed to change behavior, enhance personal accountability and deliver results. The program model allows employees to understand themselves and their choices, acquire skills for improving performance, solve problems and handle conflict, achieve goals linked to organizational strategy, become more accountable for communication, performance and professional development. This course is designed for individual contributors, team members, managers / supervisors and any individual who has to work with others to achieve results.